I really think there needs to be more focus on WWI. Much of the world as we know it today comes from that conflict. Thankfully, there are games like The Grizzled. Speaking of which, CMON Limited has announced that they are purchasing the game from Sweet Games. Along with that, they've announced a new expansion is in the works. 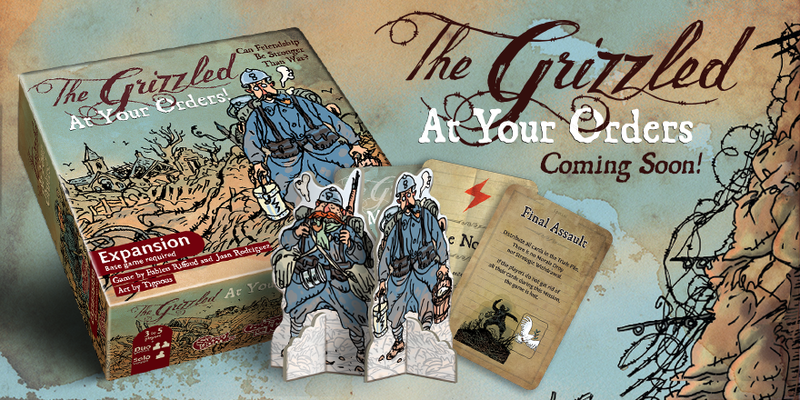 It's called The Grizzled: Armistice Edition and it will add a campaign mechanic to the game. I'm a huge WWI buff. To me, no other event of the 20th century more-defined the world we currently live in than that. So I love games based on it, as it helps others remember that the conflict existed (as it's often overshadowed by other events). The Grizzled is one such game. Now, the expansion, At Your Orders, is available. When you're reading this, I'm hopefully using my Battle Chef in combat. For you who's here reading the site, I've got your Review Roundup for you. 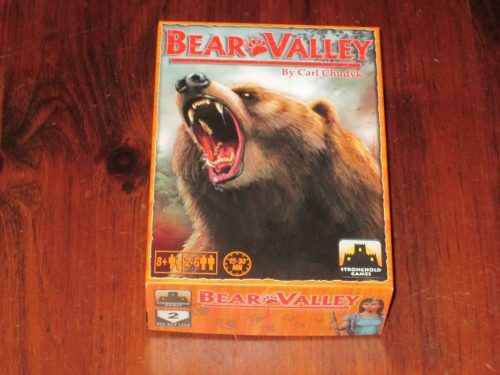 Today we have: Hail Caesar, Force on Force, Codenames, Five Tribes, Legends of Andor The Star Shield, Ninja All-Stars, The Grizzled: At Your Orders, Aviary, Booty, Catan: Explorers and Pirates, Allegiance: A Realm Divided, and The Golfing Dead. 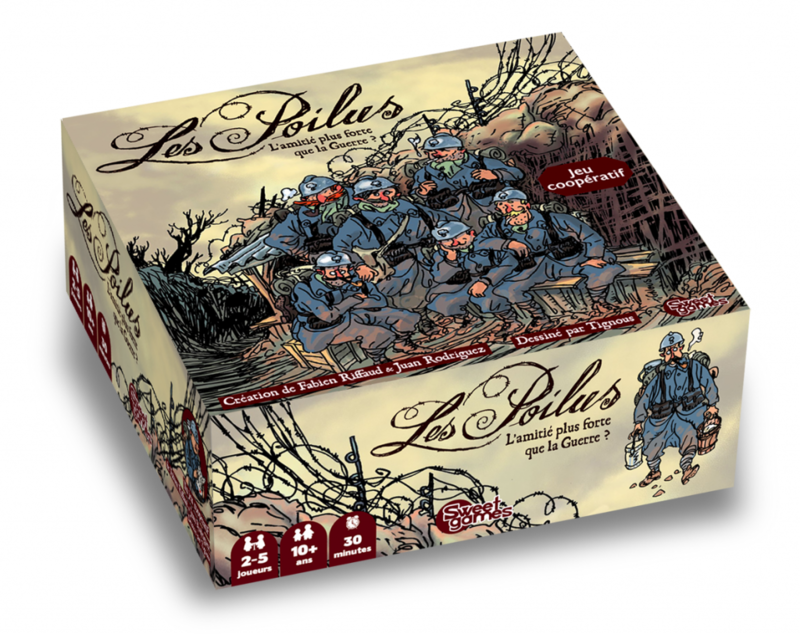 Last year CMON Inc. brought us the English version of The Grizzled, a WWI-themed card game of squad survival. It's right in my wheelhouse for favorite types of games, as it's quick to set up and play, has some cool artwork, and the theme being WWI I really like. 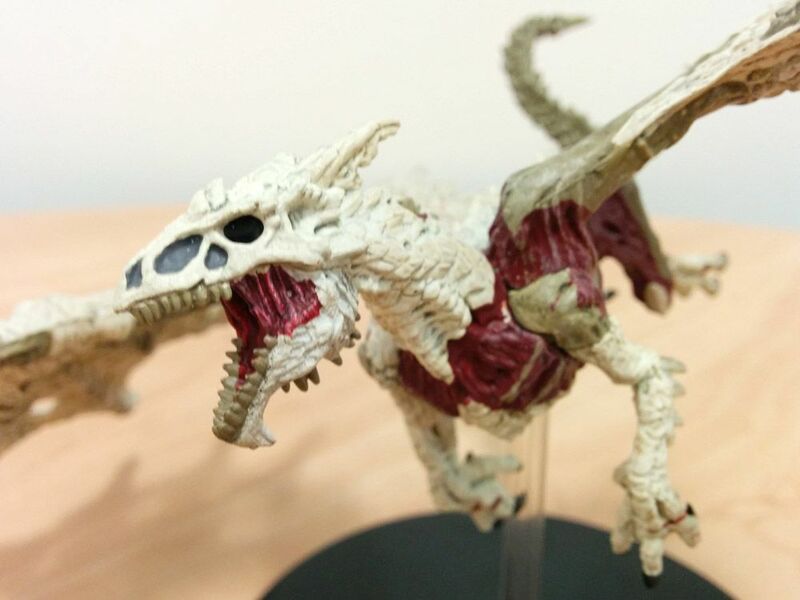 Well, now I'm going to be able to get even more, as CMON Inc will be publishing the expansion, At Your Orders, for US audiences. While WWII might get the majority of documentaries, movies, and games (video games, tabletop games, and other such), I always preferred learning about WWI. If I weren't doing TGN right now, I'd be finishing up a graduate degree in history, quite possibly studying WWI. It really was the first "modern war" as we know it. Machine guns. Tanks. Aircraft. All were used, either for the very first time, or highly refined and normalized into military tactics during the conflict. 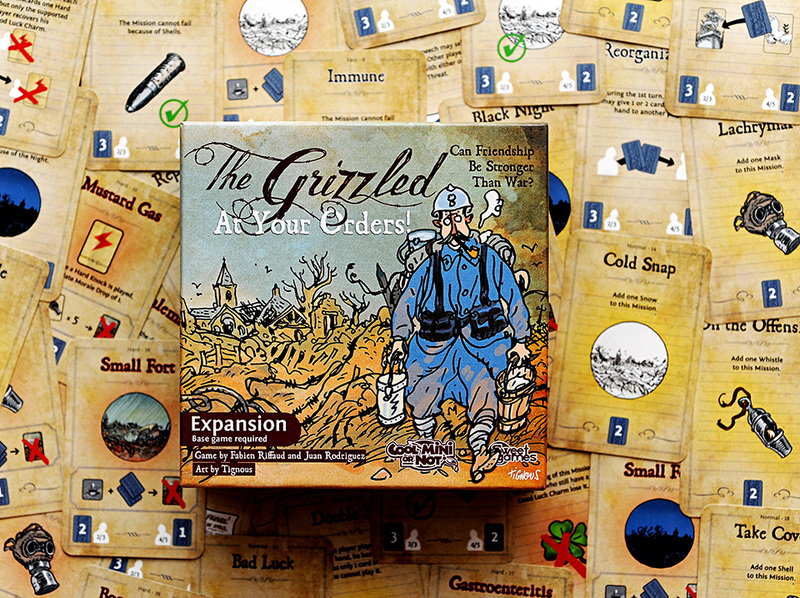 CoolMiniOrNot has just released the English version of The Grizzled, a cooperative card game that takes you into the trenches on the Western Front. While WWII is certainly more written and talked about, I personally favor studying WWI. If I were still working on an advanced history degree, I'd possibly be doing my research on it in some form. It really set up the entire 20th century and basically created warfare as we know it today. WWI isn't only under-represented in books, documentaries, and other popular culture. It's under-represented in gaming, too. 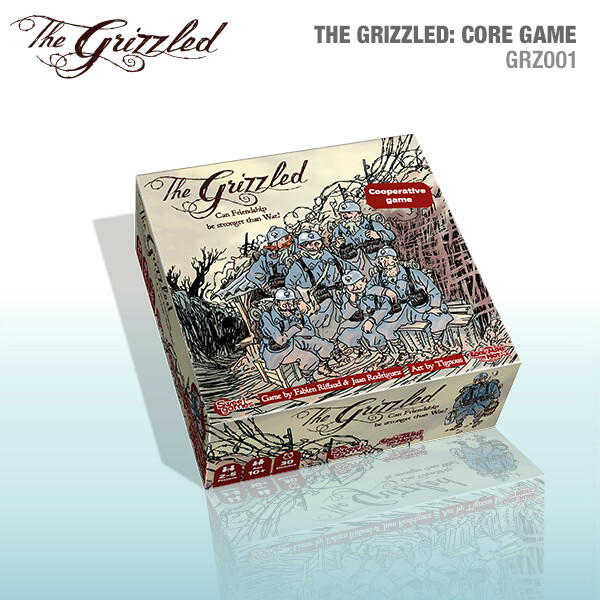 Well, CoolMiniOrNot is looking to fix that last part a bit, by coming out with an English edition of The Grizzled. Gen Con is fully underway now. The first day went by in a flash. The energy in the air was palpable. Everyone I've talked to agrees that this year is much busier than last. When the doors open, there's a huge rush as all the eager gamers head to the various booths in order to get the latest and greatest. One booth that attracted a lot of attention was CMON's. With lots of new games available for the first time, the line quickly wrapped around the whole double-booth that they have.